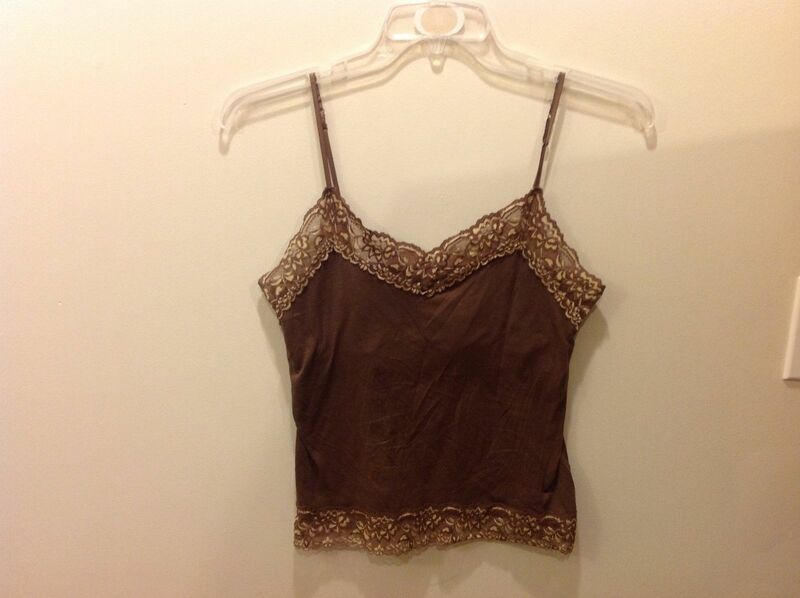 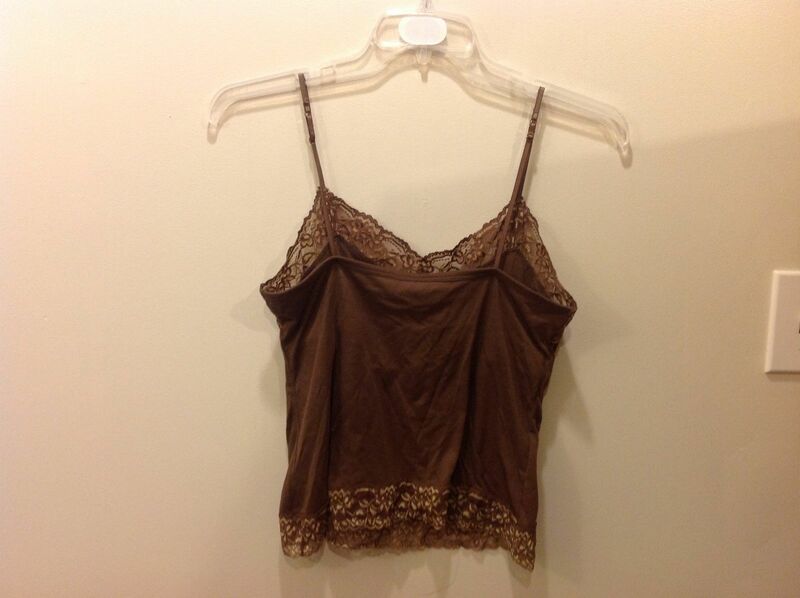 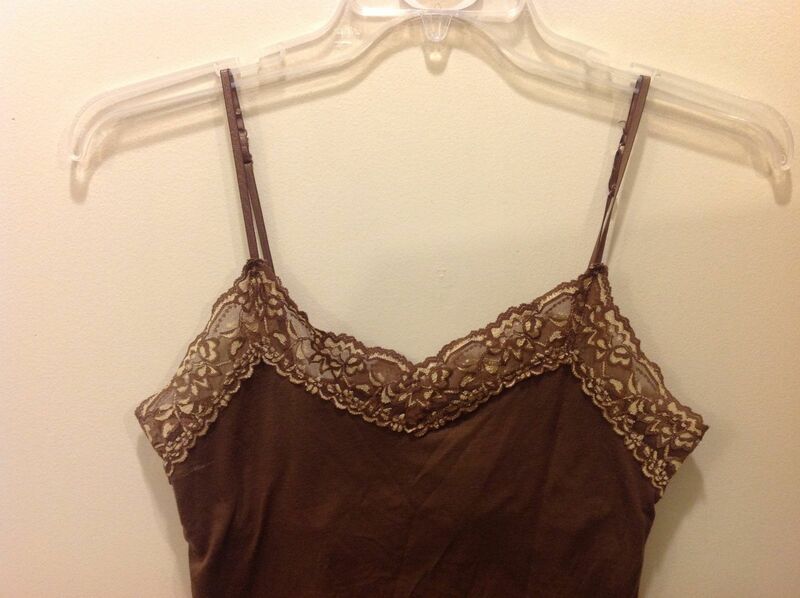 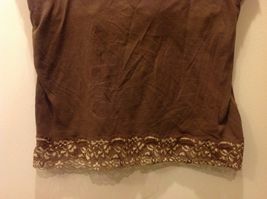 Ladies brown cami/tank intimates/sleepwear with floral lace trim by 'New York & Co'! Cami has some streaking, but it might wash out and is otherwise in good condition! 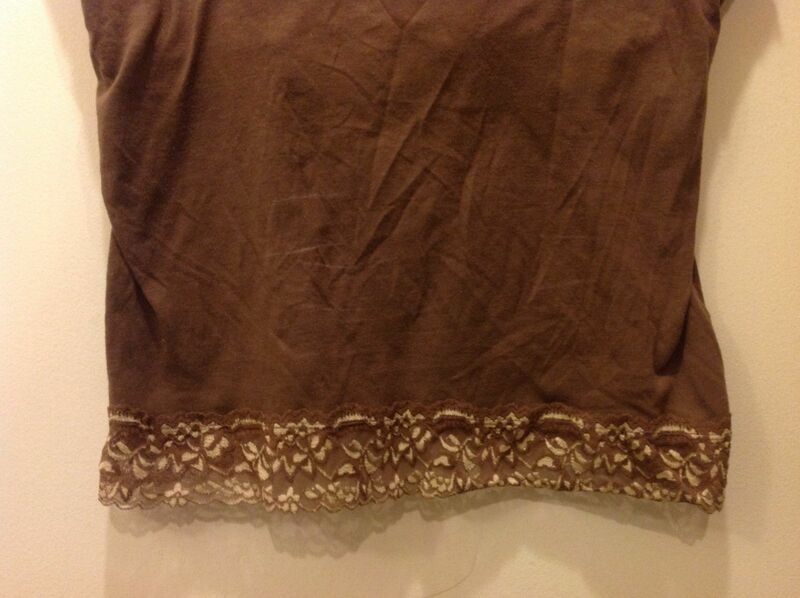 Material 92/8% tencel lyocell-spandex, size large!